Laura Hillenbrand has been writing about Thoroughbred racing since 1988 and has been a contributing writer/editor for "Equus" magazine since 1989. Her work has also appeared in "American Heritage, ABC Sports Online, The Blood-Horse, Thoroughbred Times, The Backstretch, Turf "and "Sport Digest" and many other publications. 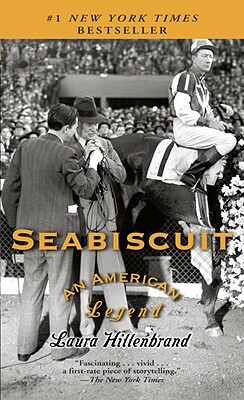 Her 1998 "American Heritage" article on Seabiscuit won the Eclipse Award for Magazine Writing, the highest award for Thoroughbred racing. She is currently serving as a consultant on a Universal Studios movie based on this book. Born in Fairfax, Virginia, Laura lives in Washington, D.C. "From the Hardcover edition."